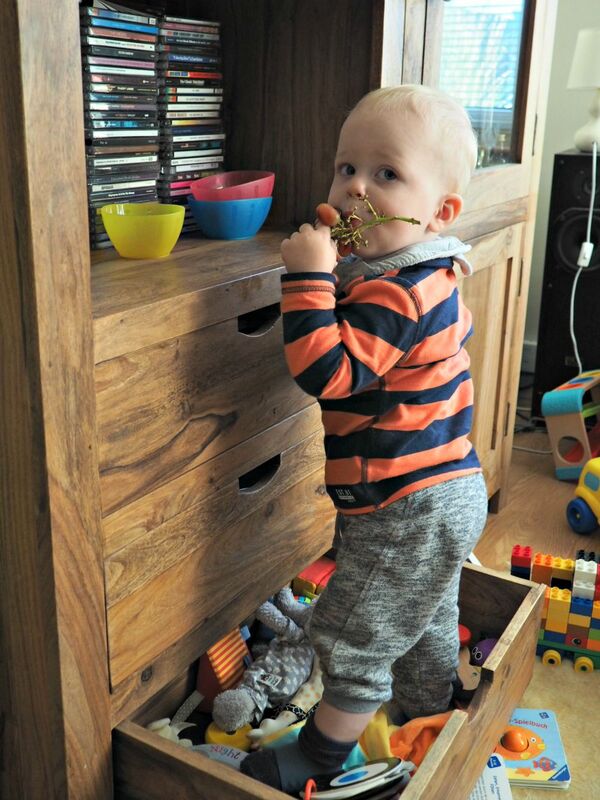 May I present my son, caught in the act stealing his sister’s grapes – and looking rather sheepish. I had put Becky’s grapes on the bookshelf so he wouldn’t be able to get to them, because they were huge and he had his own portion with cut down grapes on the table. But no, he didn’t want that, he wanted his sister’s, and did everything to get to them, including climbing into the drawer to elevate himself and eventually succeeded and gorged on them. Determined and crafty monkey! Ha! Fantastic! Showing initiative at such an early age... I think you're in for a couple of years of trouble there!